German fashion brand TOM TAILOR’s home collection was on public display in Hamburg a few days ago. 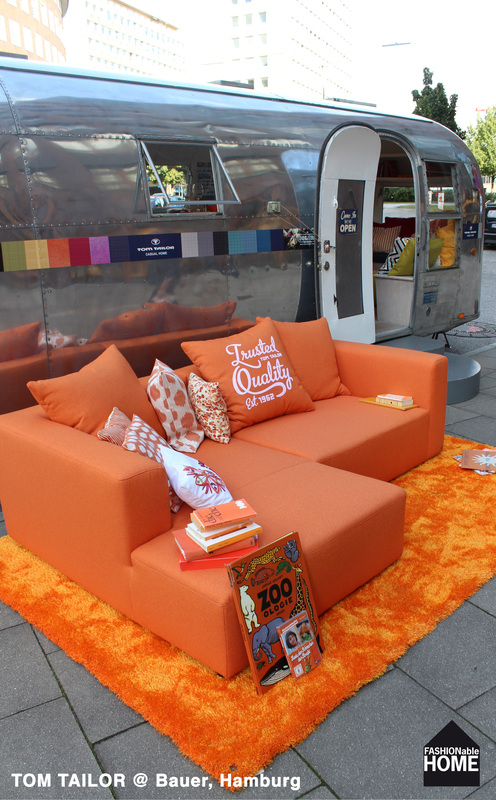 The striking orange sofa was the highlight outside a shiny vintage airstream caravan from 1963. 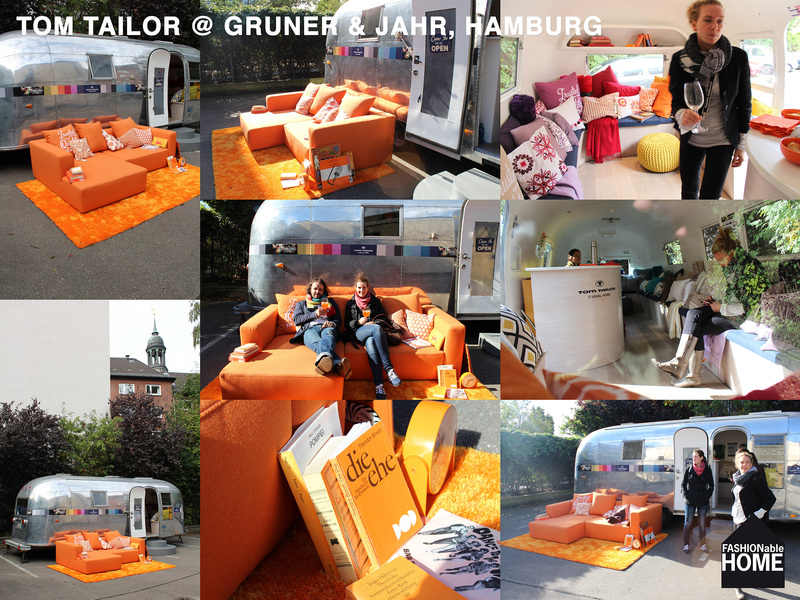 The inside of the caravan was decorated in the 18 colors of the new TOM TAILOR sofa range. Very vivid and harmonious at the same time. We really like the “Trusted Quality” print on the cushions. And: Thanks for the Aperol Ginger Spritz by the way and the delicious orange mini muffins. 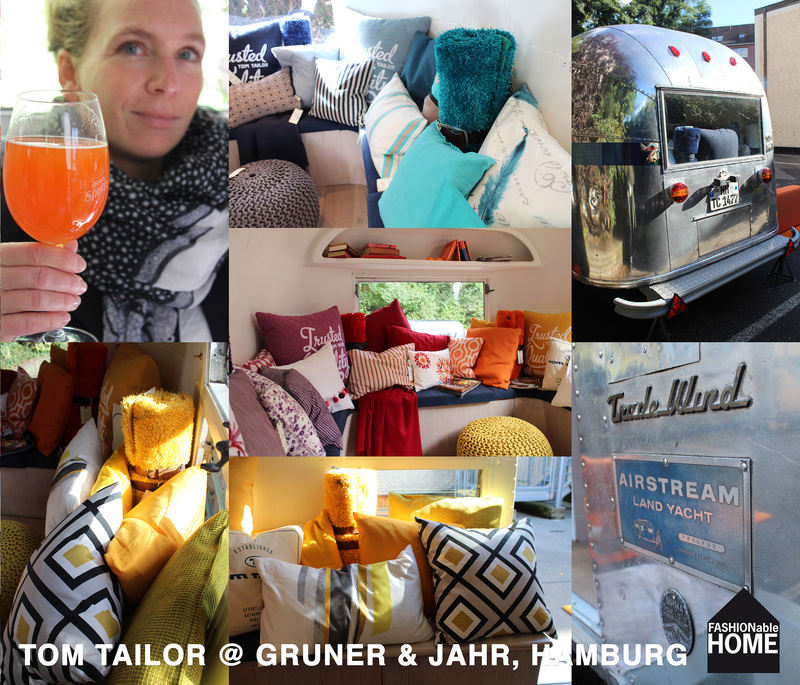 This entry was posted on October 4, 2013 by Chef de Cuisine in Home Collections, Uncategorized and tagged Hamburg, orange, Sofa, TOM TAILOR, TOM TAILOR CASUAL HOME.